"It's a dangerous business, you know, going out your door. 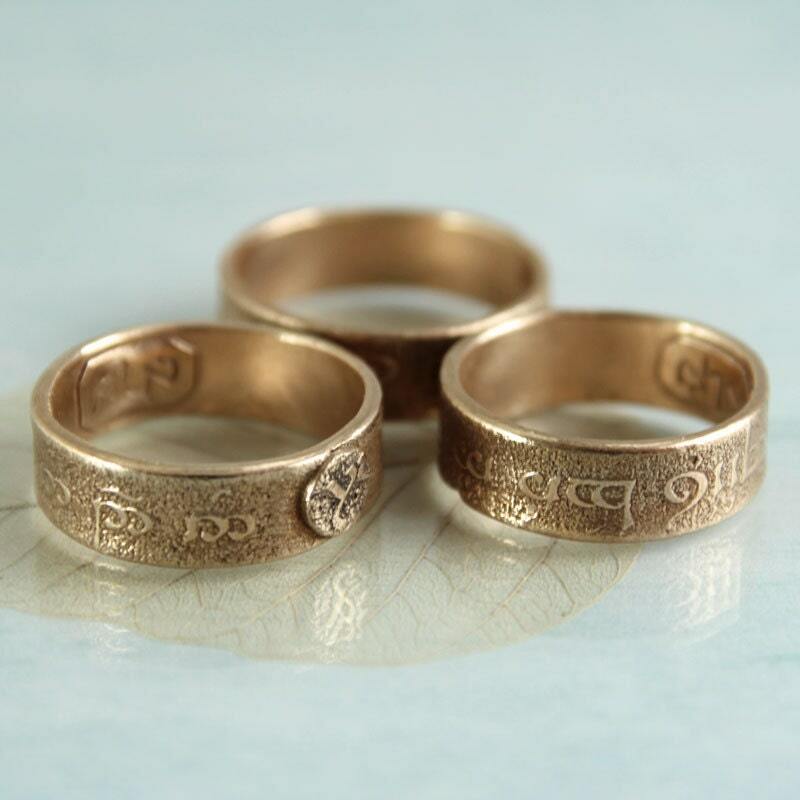 You step onto the road, and if you don't keep your feet, there's no knowing where you might be swept off to." 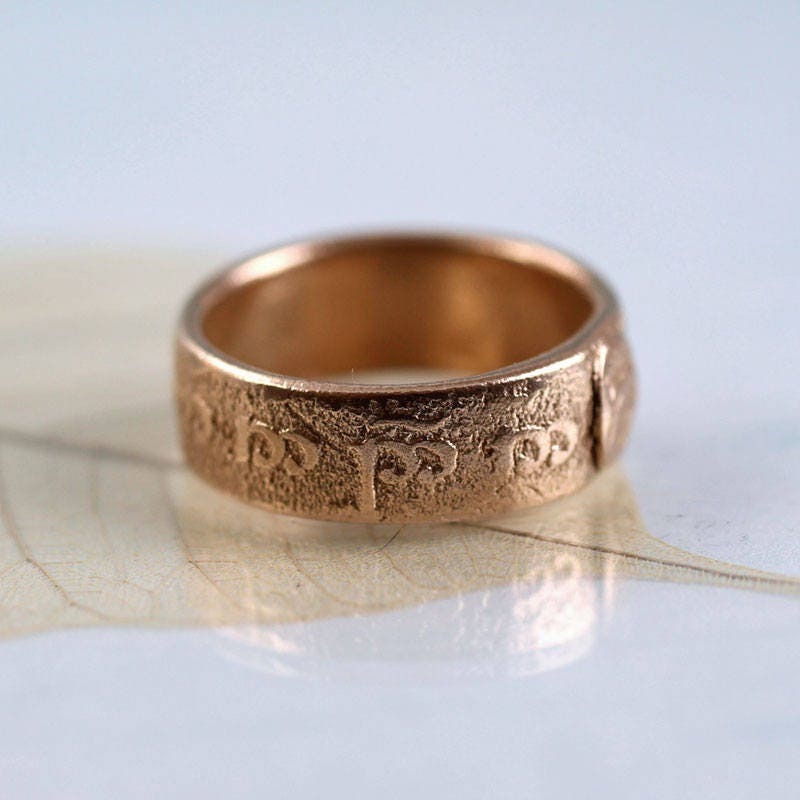 This ring is inspired by epic fantasy and storytelling, tales of heroic kings and the journey we all must go on. 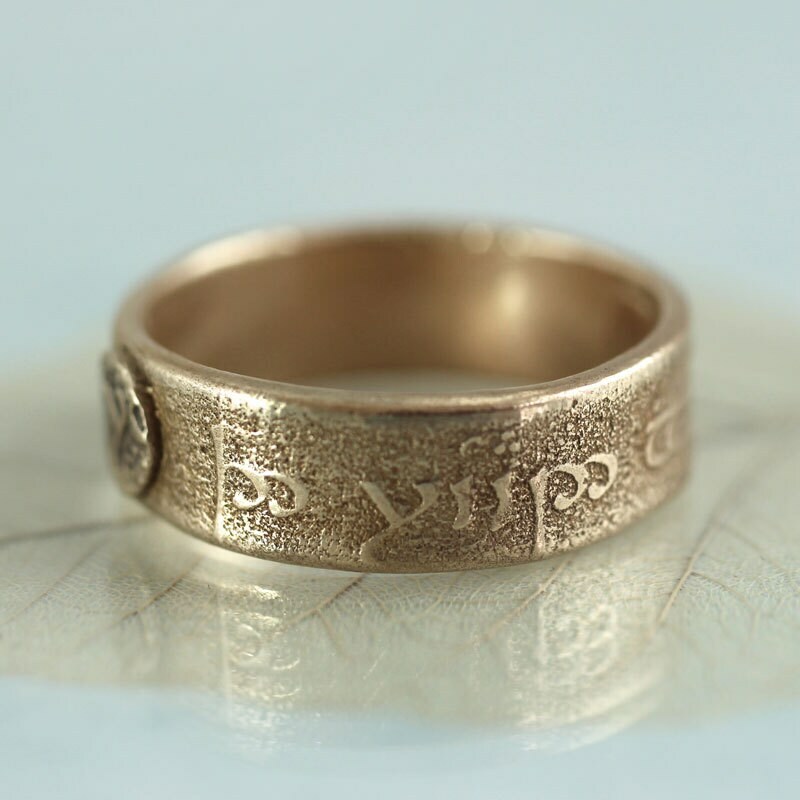 It is a 6 mm wide band - rustic, hand shaped and oxidized to emphasise the runic scripture. 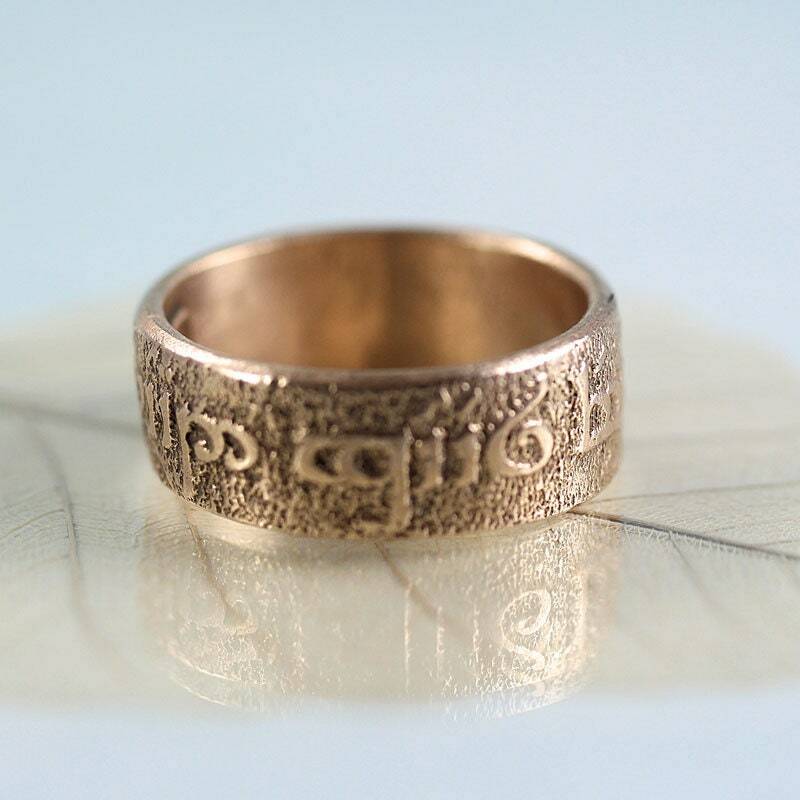 The ring is imprinted with Elven runes and says: "The road goes ever on and on" - English transcribed into Elvish characters (phonetically). 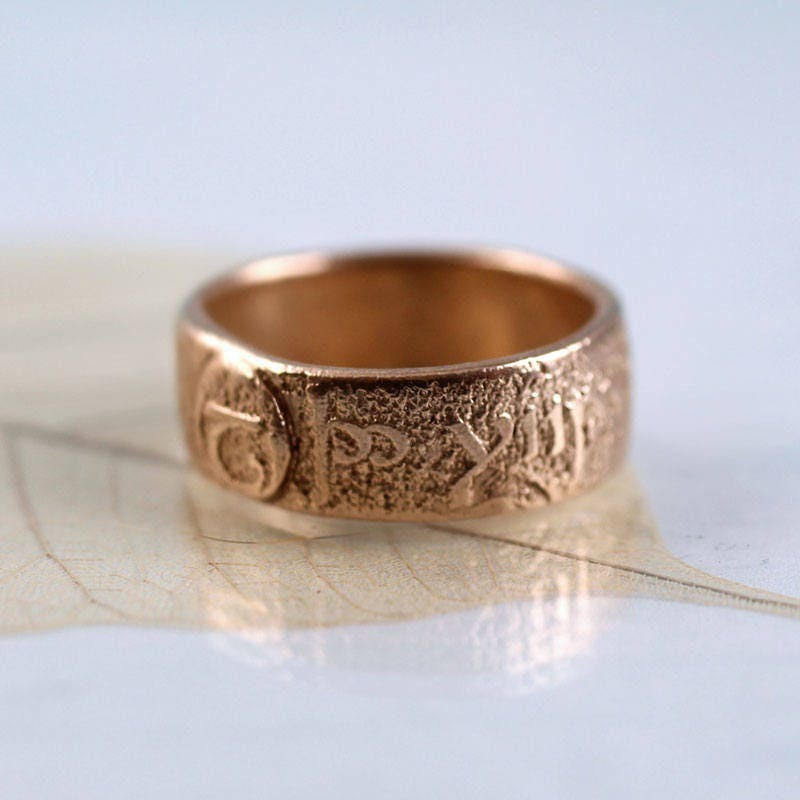 Subtly adorned with an round rune plaque and it has taken various 'sword cuts' at the edges, making it look like an excavated artefact from a mythical dragon age. 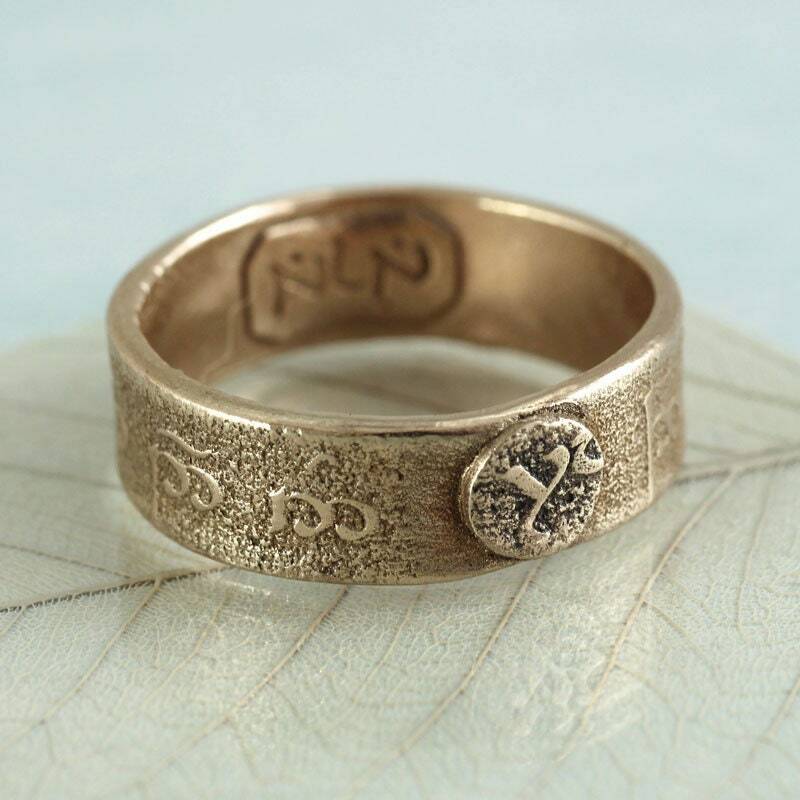 This version is made in bronze left rough under the letters for a rustic finish. 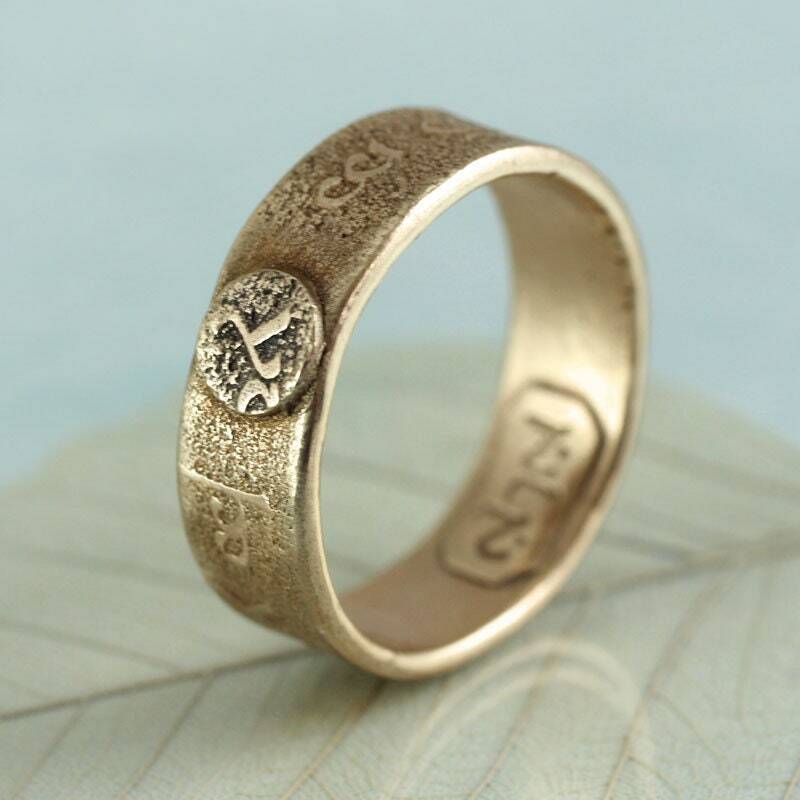 Made to order in ring sizes US 6.5 - 14 (smaller sizes would not get the full sentence). 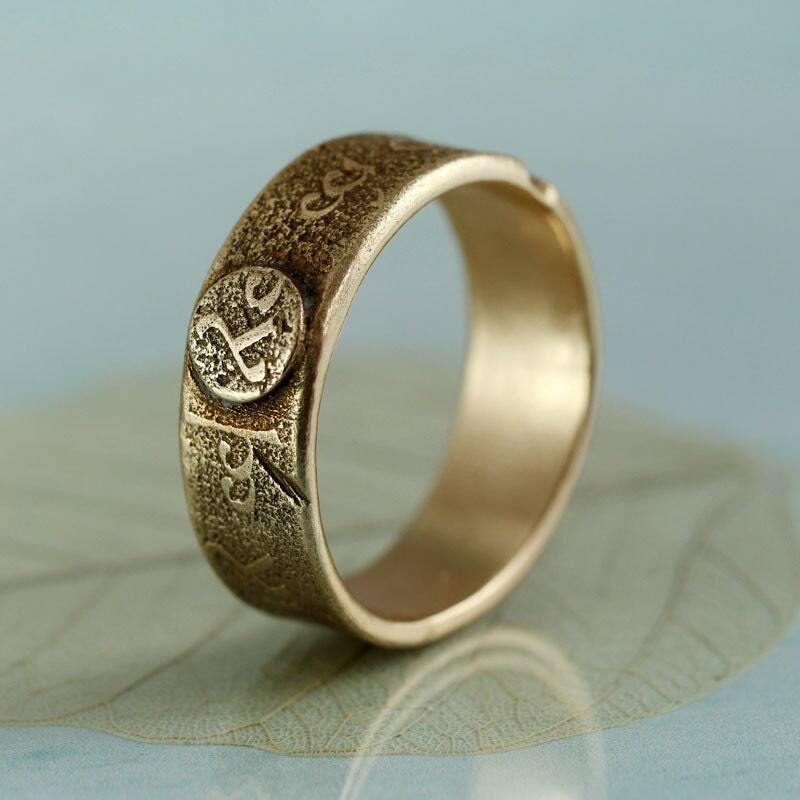 Beautifully made ring, I love it!! Beautiful piece and awesome artist! 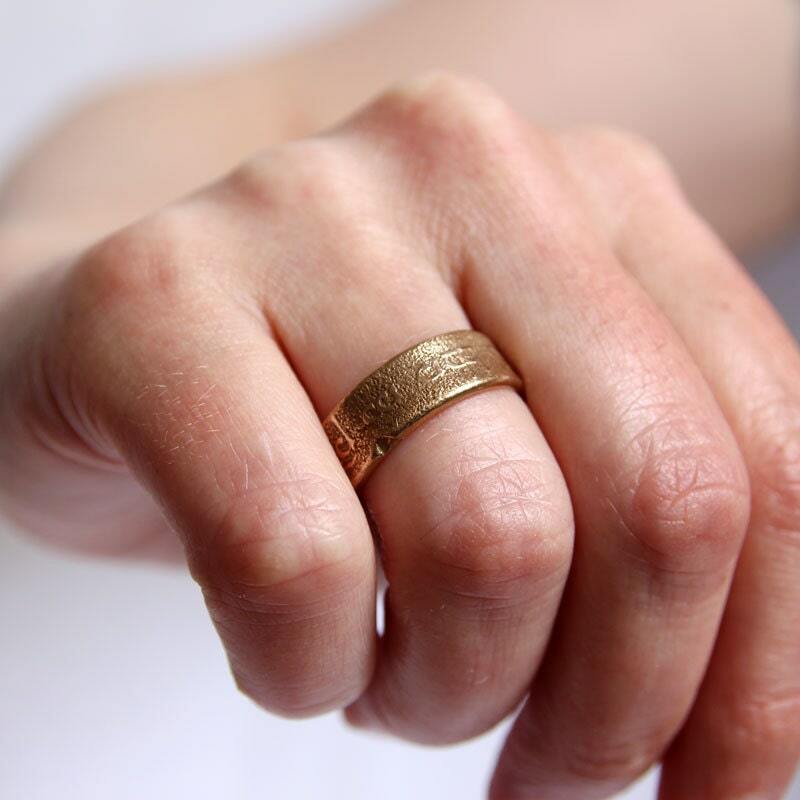 I am so happy with this lovely ring...the craftswomanship is outstanding. Will definitely be happy to shop here again. 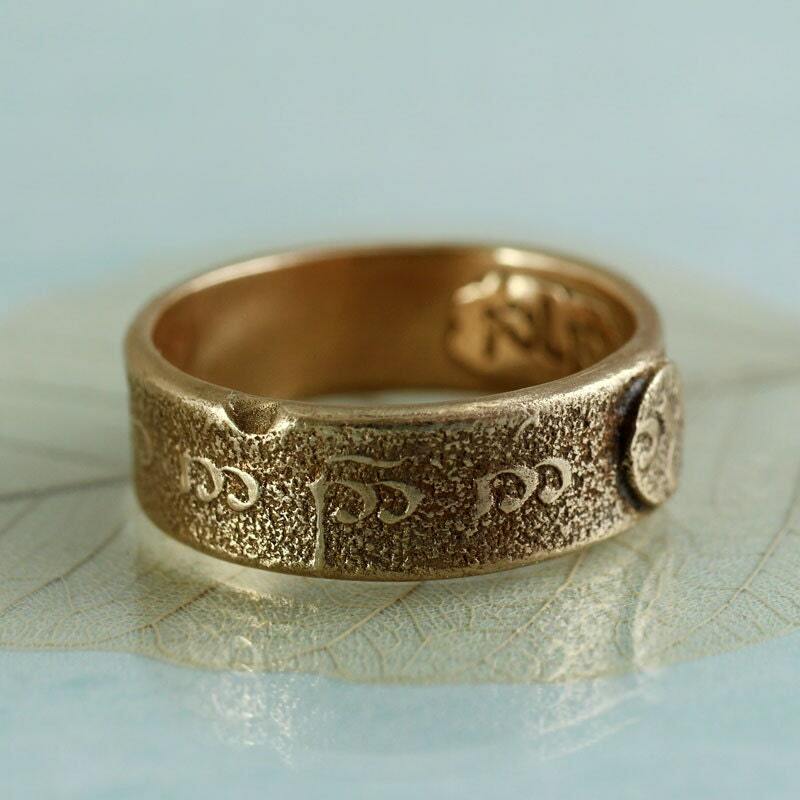 Nana's craftwork on the elvish ring is indeed quite beautiful, distinct and unique, yet modest. To top all of this, she is quick and lovely to communicate with. My wife loved the gift! Many thanks, Nana; happy New Year!